The Philippines have lost a SEABA Championship Final only once ever, and it was against Indonesia way back in 1996, 88-81. Indonesian-American Mario Wuysang was just 17 years old back then and wasn't even part of any Indonesian team or league, but, for sure, he would like to bring those glory days back and restore Indonesia to greatness in ASEAN basketball. He and the rest of the Timnas Basket Indonesia will have their shot this coming May when they travel to Manila for the SEABA Championship 2017, where only the winner will book a ticket to the FIBA Asia Cup 2017 in Beirut, Lebanon. Beating the Philippines, of course, will be no easy task. 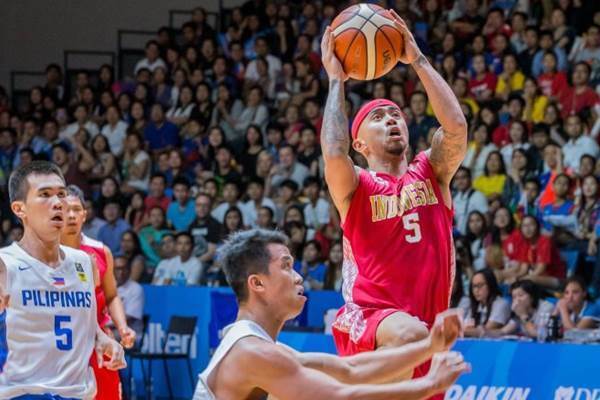 Gilas Pilipinas have pretty much dominated ASEAN hoops in recent past, and by all indications, the Filipinos are pulling out all the stops to ensure a smooth ride to the title in front of their rabid hometown fans. Still, Indonesia's 37-year-old 1.76 point guard believes he and his teammates have a legitimate chance of having history repeat itself. Wuysang talked to FIBA.com about his expectations for the national team this year. You are considered one of the top local players in Indonesia basketball history. What can you say about this? I'm honored, of course. I just want the fans here in Indonesia to understand real basketball and what I have done and how I have represented them at the international level. That's most important for me. Basketball is still growing in Indonesia and has a long way to go, but it all starts with understanding the game. Are you satisfied with how Indonesia have fared in the SEABA/SEA Games the past couple of years? We have done well in past years, but our ultimate goal would be to have a gold medal and defeat the Philippines. What is the Indonesia federation doing now to make sure that Indonesian basketball continues to improve? As far as the national team is concerned, I do know that we are taking steps to train in America to improve our players and coaches. Which naturalized player will Indonesia have for SEABA and the SEA Games? How will he help your team? I'm not sure we will even use a naturalized player yet. If we choose to do so, we should be smart and get a naturalized big man no shorter than 6'10 with a good basketball background. That's the only way to compete at a high level against Asia's elite teams. Can you say that the future of Indonesia basketball is bright? I do believe it is bright. There are a lot of things to work on, but these are achievable. Getting better coaching and having American players in the local league will help improve the level of play, which will also help our national program in the long run. What would be the national team's main target or goal this year and what are your chances to achieve this? Our goal is nothing less than Silver. Gold would be amazing, and I do believe our chemistry will help us achieve our goal. We have a lot of the same players from the past couple of years, and our rhythm is good now. If we can secure silver and put us in a gold medal final game, that would put us in a great position to win and make history.